It gives me great pleasure to pay an official visit to the Islamic Republic of Afghanistan at the invitation of the Afghan government. I wish to extend, on behalf of the friendly Chinese people, the cordial greetings and best wishes to our neighbor, the people of Afghanistan. After Afghanistan was hit by earthquake recently, our heart went out to the Afghan people. 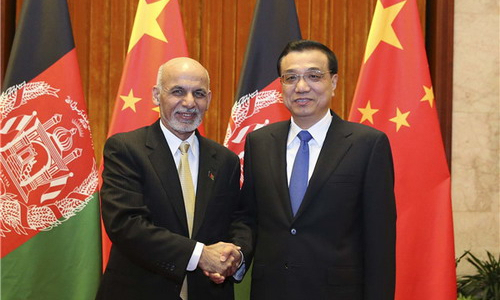 President Xi Jinping and Premier Li Keqiang both sent messages of sympathy to the Afghan leaders, and the Chinese government has done all it can to provide disaster-relief assistance to Afghanistan. Humanitarian relief supplies worth 10 million yuan provided by the Chinese government arrived in Kabul yesterday. The Red Cross Society of China has provided US$100,000 of grants in emergency aid to the Red Crescent of Afghanistan. To further help Afghanistan with disaster relief effort, the Chinese government has decided to provide another one million US dollars of emergency assistance to the Afghan government. We are ready to provide further assistance to the best of our ability in line with Afghan needs. We are convinced that under the leadership of President Ashraf Ghani and Chief Executive Abdullah Abdullah, the Afghan people will prevail over the difficulty and rebuild their home. Afghanistan, at the heart of Asia, was once a shining pearl on the ancient Silk Road. In the Middle Ages, Kabul became famous for its prosperity brought about by busy trade. In the 1950s and 60s, the peaceful and prosperous Afghanistan was known as “Switzerland of Asia”. The splendid culture created by the Afghan people made a unique contribution to the civilizations of Asia and beyond. Maulana Jalaluddin Rumi, the renowned poet in the history of Persian literature, was born in today’s Afghanistan. This is also a great nation of fortitude and perseverance. Its struggle against foreign aggressions in defense of national independence and freedom has left a moving chapter in human history and won the admiration and respect of people of the world. In the past three decades and more, wars and conflicts brought untold sufferings to Afghanistan and its people. Only since the start of peaceful reconstruction, the country made notable progress in national development. However, problems of armed conflicts, terrorism and drugs remain. To achieve peace, stability and prosperity is still an uphill battle. 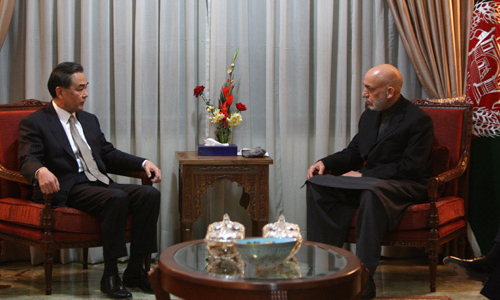 We appreciate the efforts by the Afghan government to promote peace, reconciliation and integration. We hope all parties in Afghanistan will set store by the interests of the nation, end armed conflicts at an early date and conduct candid dialogue so as to lay a solid foundation for lasting peace and stability. We support the Afghan government of national unity in building consensus and exploring a path of development that meets Afghanistan’s national conditions and real needs. We hope to see and support efforts by Afghanistan to develop good-neighborly relations with surrounding countries so as to jointly create a peaceful and stable regional environment. With respect to the sovereignty, independence and territorial integrity of Afghanistan, the international community should continue to deliver on its commitment to Afghanistan and help it increase self-development and security capacities. Afghanistan should be able to participate in regional economic cooperation and the development of connectivity and share the opportunities and fruits of Asia’s development. 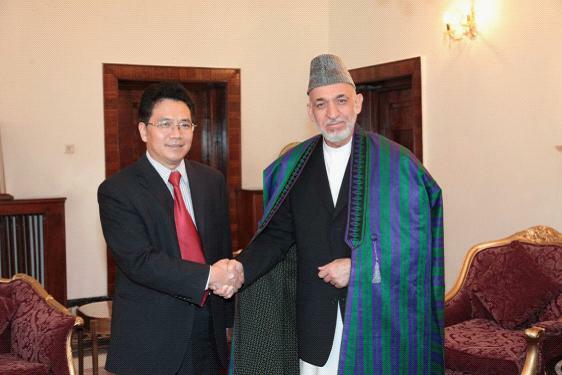 China and Afghanistan are close and friendly neighbors. More than 2,000 years ago, Zhang Qian, a Chinese envoy of the Western Han Dynasty, visited Afghanistan. In the Tang Dynasty, eminent monk Xuanzang travelled through Mazar-e-Sharif, Bamiyan and Ghazni on his trip westward for Buddhist scriptures and recorded scenes of prosperity in those places. At the time of struggle against foreign aggressions and fight for national liberation, the Afghan people always had the deep sympathy and firm support of the Chinese people. In turn, the Afghan people have all along been friendly to China and the Chinese people whom they regard as the most trustworthy friend and partner. During the closure of the Chinese Embassy in Afghanistan due to the conflicts, a local employee by the name of Nimatullah Betani, watched over the premises alone for eight long years till it was reopened. Everyone who heard the story was deeply touched. The friendship between China and Afghanistan that is deeply rooted in the hearts and minds of the two peoples strongly underpins the relations between the two countries. At present, Afghanistan is at the beginning of a ten-year transformation and has embarked on a great journey towards a new Afghanistan under the leadership of the national unity government. The Chinese people are striving to achieve their two centenary goals and realize the Chinese dream of great national renewal. Our two peoples share the aspiration for better lives and this presents a broad prospect of cooperation for development. With its firm commitment to peace, development, cooperation and mutual benefit, China seeks to build friendship and partnership with its neighbors. It follows an approach of amity, sincerity, mutual benefit and inclusiveness and is willing to bring more benefits to its neighbors through its own development. The initiative of the Silk Road Economic Belt and 21st Century Maritime Silk Road proposed by President Xi Jinping is meant to enhance connectivity of countries along the routes to achieve common development. 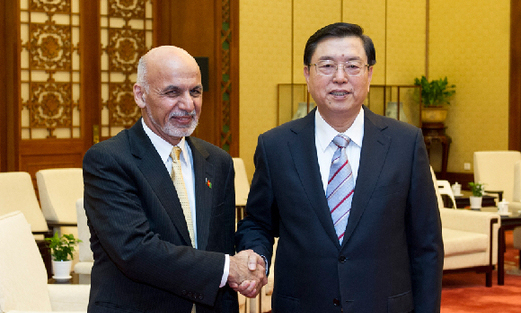 Afghanistan is a priority in China’s neighborhood diplomacy. We are ready to work with Afghanistan to deepen the strategic cooperative partnership and bilateral cooperation in all fields to serve development strategies and tasks of the two countries. —China will continue to support the Afghan government of national unity and help it increase governance capacity to better tackle political, economic and security challenges. We firmly support an Afghan-led and Afghan-owned peace and reconciliation process and will continue to play a constructive role to this end. —China will continue to provide concrete support to the peaceful reconstruction and economic and social development of Afghanistan. Over the years, China has assisted Afghanistan in building a number of infrastructure projects concerning national development and people’s well-being and trained more than 1,000 professional personnel for Afghanistan. 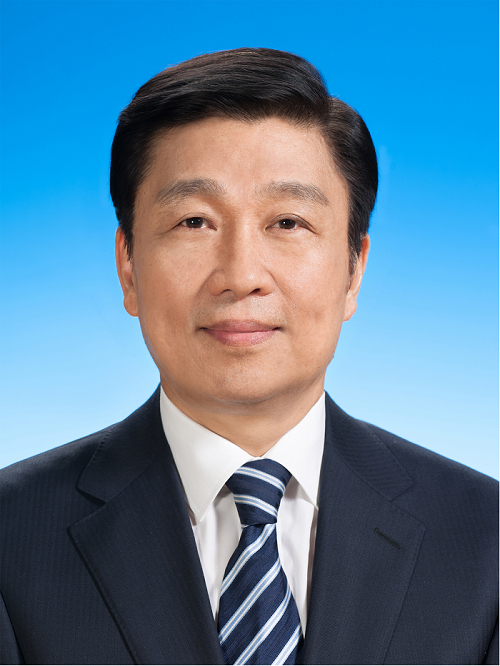 Chinese companies are actively involved in economic and resources development in this country. Last year, President Xi Jinping announced that China will provide additional RMB1.5 billion of free aid over the next three years and 3,000 training opportunities over the next five years to Afghanistan. China will work with Afghanistan for the implementation of the agreements between leaders of our two countries to assist Afghanistan in the economic development and improvement of people’s lives. To carry out President Xi Jinping’s commitment, during the visit, the two governments signed the agreement that China will provide RMB500 million free assistance to Afghanistan to help with buildings construction and improving people’s livelihood. —China will continue to deepen people-to-people and cultural exchanges with Afghanistan. Professor Che Hongcai of the Communication University of China spent 36 years compiling the first Pushtu-Chinese dictionary and was honored by President Ashraf Ghani. We need to encourage and advance exchanges and understanding between various sectors of our two countries, and more touching stories of close bond between our peoples will come along. 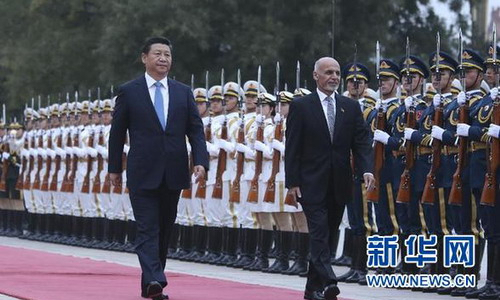 —China will continue to support the integration of Afghanistan in regional cooperation. We welcome Afghanistan to take an active part in the development of China-proposed Silk Road Economic Belt and, with its geographical advantage and resource endowment, to become an active player in regional connectivity, energy transport and regional trade. Where there is a will, there is a way. We are convinced that with the unremitting efforts of the government and people of Afghanistan and the support from the international community, Afghanistan will overcome temporary difficulties, realize peace, stability and prosperity at an early date and, with its unique strengths, make due contribution to the progress and prosperity of Asia. 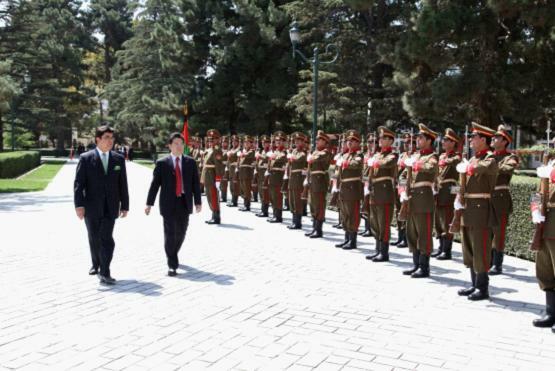 China-Afghanistan relations will embrace broader prospects. Let us join hands to take the traditional friendship and mutually-beneficial cooperation between our two countries to a new height and work with other countries in the region to bring new life to the ancient Silk Road.